On Friday, February 10, 2012, Rev. George Harrison was laid to rest. He had passed away on January 30th. Two days following his funeral, his twin brother, Charles E. Harrison passed away. The photo, left, contains his obituary. 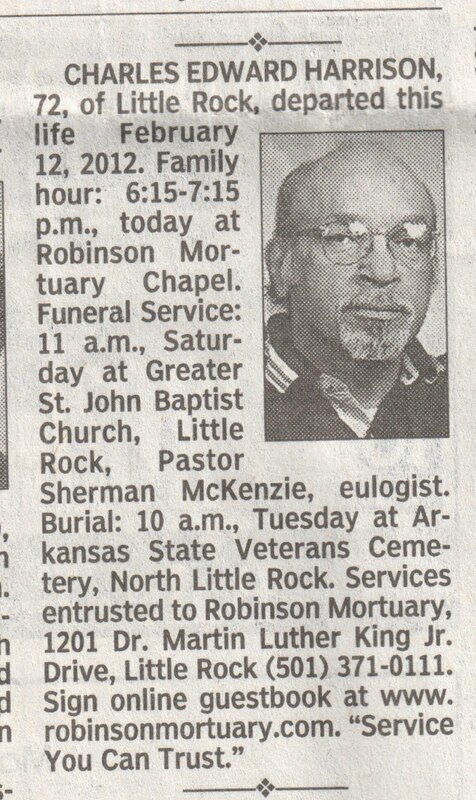 His funeral is tomorrow in Little Rock, Arkansas. Rev. 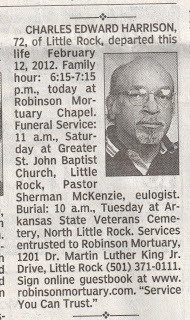 Freddie Spann's twin brother, Eddie Spann was buried recently as well.